Our extensive experience as general contractors and land developers have guided the construction of hundreds new homes throughout Western Wisconsin. 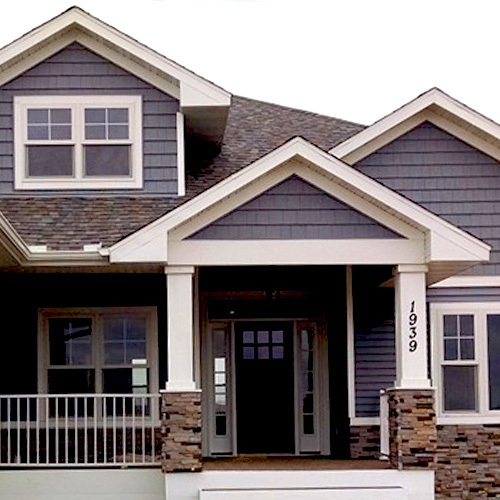 Based out of Menomonie, Wisconsin, Timber Ridge Homes is a family owned and operated construction company with a strong focus on building energy efficient homes. Every home is inspected, tested, and certified by Focus on Energy and Wisconsin Energy Star to ensure your home is performing at peak energy efficiency. Since our inception in 2002, Timber Ridge Homes has been passionate about doing the project right from the start and keeping you very informed about the home building process. This business philosophy has allowed Timber Ridge Homes to build a reputation of trust and a name for quality craftsmanship. "We were totally impressed with Timber Ridge Home's constant attention to detail, kindness, and professionalism." We keep you very informed. You will know exactly what is happening next, see the progress, and have fun along the way!